The Reel Talent slot comes to us from Just For The Win by way of Microgaming. The theme is a somewhat strange mix of animals and the basic concept of a talent show. Graphics on this slot are exceptionally well done, featuring crisp, clear, flat symbols with detailed features. Colours are bright and bold but blend together perfectly to create a pleasing image that goes easy on the eyes and works well on any device. 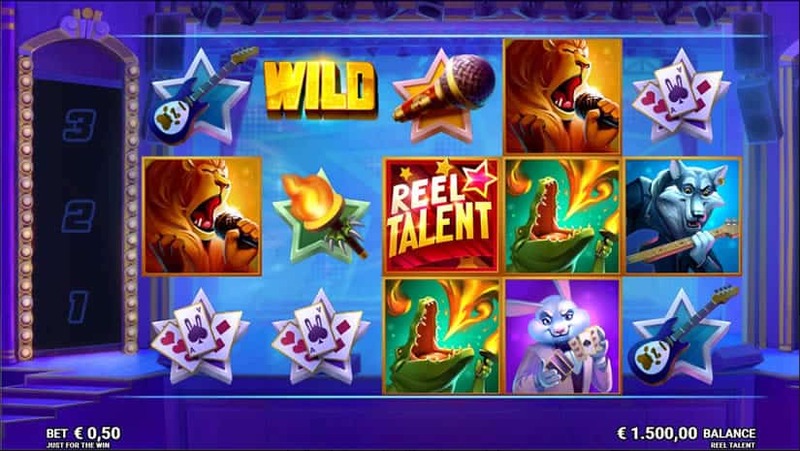 Reel Talent is a five-reel, three-row slot that plays on 20 fixed pay lines. The five high paying symbols on the reels are made up of the Reel Talent logo, which pays the most at 50 times your bet, and four talented animal symbols. The animals are a singing lion, a fire-breathing alligator, a guitar-playing wolf, and a sly looking rabbit doing card tricks. Lower paying symbols are the tools each of the characters use for their talents. You’ll see a torch, a guitar, a microphone, and a deck of cards. Setting up your wager is simple and straight to the point. 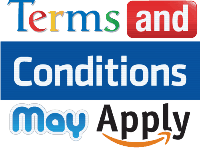 Simply select from one of the predetermined amounts between the minimum of £.10 and the maximum £100.00 per spin. The game is 20 fixed pay lines, but the line wins are calculated as a multiple of your total bet, so there’s no tricky division or multiplication necessary to figure out how much each combination is really worth. The return to player rate on Reel Talent is 96.03%, which is a great RTP rate. It’s also a fixed rate, so you know it can’t be altered by any individual casino. If you’re a mobile player, the visual aspects of the game come across brilliantly on smaller mobile screens. This slot doesn’t seem to be a huge battery killer either. The volatility level of this slot is not indicated in the pay table or help screens, but it appears to be a medium volatility slot, which should deliver a good mix of wins consistently enough to keep most players happy. The bonus features on this slot are, unfortunately, not all that entertaining. The superspins feature sounds great when you read through the pay table, but in reality, it’s a bit too hard to actually trigger it. At first glance, the payouts look great with a big 50x win right at the top, but there is a big gap between the top paying symbol and the second highest, which only pays 15x your bet for five of a kind. So, overall, payouts are not going to be as high as one might think at first. You will find the usual wild symbols on the reels as you would expect. After that, there are two other features that blend together somewhat to help you add to your winnings. The Reel Talent slot uses what they refer to as symbol storage. Down the left side of the screen, you will see spaces numbered one, two, and three. Whenever you land a winning spin, two things will happen. First, the winning symbol will be moved over to the symbol storage column. If you win with multiple symbols, they will all be moved over. At this point, if the symbol storage column is not full, you’ll be awarded a respin. And if you land another win, that winning symbol will be moved over. Respins will continue until you either fill all three slots in the symbol storage column or you fail to land a winning combination. If you lose before filling all three storage spots, they will reset to zero on the next spin. If you do manage to fill all three of the symbol storage spots — which unfortunately doesn’t seem to occur all that often — you will be taken to the superspins feature. There are three superspin stages, as in performance stages, not game stages. If you stored three different symbols you’ll get your superspin on stage one. If you stored two different symbols you’ll be sent to stage two, and if you got all three of the same symbol you’ll go to stage three. It appears you only get one superspin and that there is no difference between the three stages except that stage three guarantees a win.